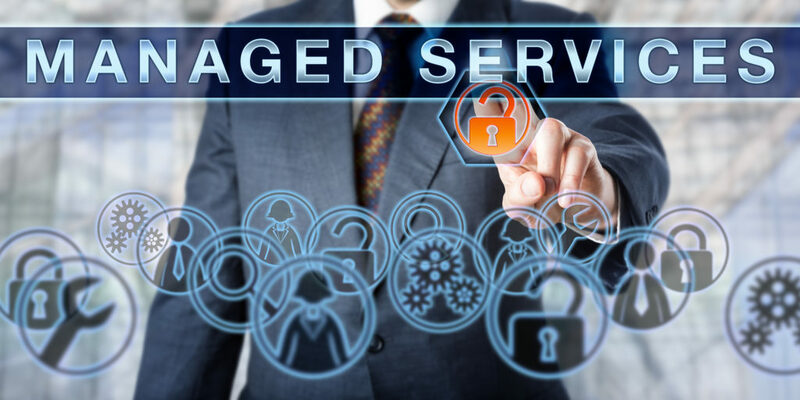 We are your future IT department and we are prepared to educate you on the differences between traditional technical support practices and modern managed IT practices. We will show you the good, the bad, and the ugly for you and your business. Are you ready to take a proactive approach to your IT services? Call us at 501-588-3199 today and let’s talk. we want to grow. Technology is always changing, and there is constant room to learn, innovate, and help others. No business can afford to be unprepared for disaster recovery. Even short term computer outages can cripple your productivity. You need peace of mind that your mission critical data is recoverable from disaster, and your computer systems are well maintained and running at peak performance. Ransomware is the newest and sneakiest type of malware used by malicious hackers to infiltrate your business systems. Ransomware protection is an essential (and separate) part of your IT security. In most cases, it is not included in your standalone security software. Ransomware can sneak through traditional digital security packages undetected until it becomes a huge problem. The various components of your digital infrastructure must work together in order to be effective. Network security is among the most important of these components. A problem with any part of your security detail affects every other aspect of your business. It will not take a hacker long to move into your client information base if your VoIP has been somehow compromised. As conventional wisdom in digital security tells us, “If something is in one place, it is in zero places.” The backup and disaster recovery methods that you employ will ensure the safety of your proprietary intellectual property and the sensitive personal and financial information of your customers. You protect your company from possible legal ramifications, and you also ensure the stability of your record keeping process. No business is ever 100% like another. If you have special needs, the Scale custom services package ensures that you get the performance that you are looking for from your business IT support partner. Pay only for what you need and leave the rest on the table – this is the efficiency we offer at Scale. As your IT consulting partner in Arkansas, it is our job to recommend solutions based on your personal needs, not a one size fits all grab bag. When you do business with us, you can rest assured that our staff translates your vision into the right services for your business. Whether you are in need of an email campaign, content writer, cloud IT services professional, or any other business IT discipline, we are ready for your needs. What Customers and visitors things about our services and consultency of growing business. I talked to Affinipay twice before iProv and I called. iProv talked to them and got everything working within a couple of hours. So I know all my surveys are perfect scores, but what can I say?? These guys are the BEST!!! I enjoyed being taught. He was a good teacher. Patient not condescending and very thorough. He even wrote down step for step for me and had me scan it, attach it, and e-mail it. Thanks! The team was quick and efficient… as usual. iProv is exceptional. I was getting very agitated because of the situation. But, Seth saved the day by quickly responding to the ticket and getting the problem resolved Dave went above and beyond the ticket call of duty! I am so glad that all of you are so easy to work with. iProv has been tending to our computer issues, staying on top of things in a timely manner. This makes us feel more comfortable with your company. It was a complex issue dealing with an outside source but it was solved in a timely manner. Great customer service. Love you guys!! David did an AWESOME, effective job helping get us set up and on track. Thank you all for making it happen in such a timely fashion. As always, a job well done! I have always been delighted with your support! Keep up the great customer service and quality of work! Everything needing done was done, explained well and promptly. Would not request any changes to the manner in which this was handled whatsoever.